Barcelona defender Thomas Vermaelen has been sidelined for four weeks with a torn calf muscle, which leaves Ernesto Valverde short on options at the back. The Blaugrana have already lost first choice-centre-back Samuel Umtiti to a knee cartilage injury, which he is currently receiving treatment for in Qatar and this latest news is another huge blow for the Spanish boss. 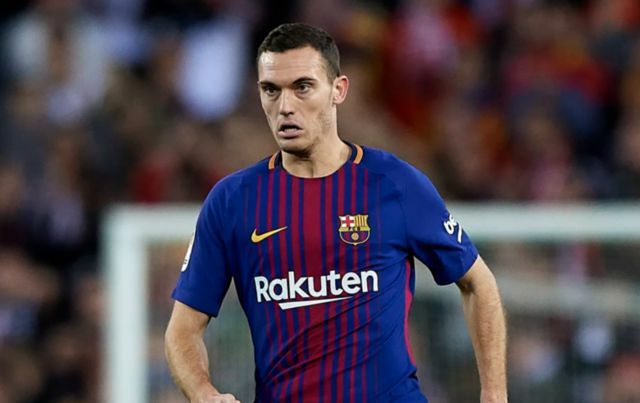 According to Sky Sports, Vermaelen sustained a muscle tear during Barcelona’s 5-0 win against Levante on Sunday and he has now been ruled out of action for the next month. The Belgian defender had not long been back in the fold, having only just fully recovered from a hamstring injury, which had ultimately restricted him to just five first-team appearances this term. In the absence of Umtiti, Valverde would surely have been hoping to grant Vermaelen some regular playing time, with only Clement Lenglet and Gerard Pique left to choose in the heart of the defence over the next few weeks. The good news for the Spaniard is Barca only have one more fixture to negotiate before the winter break – a home clash against Celta Vigo on Saturday – but it is unlikely that Vermaelen will be back in time to face Getafe in the new year. The reigning La Liga champions are on course to defend their crown at the half-way stage of the 2018-19 campaign, as they sit top of the league and three points ahead of their nearest challengers Sevilla in second. Question marks remain over the sturdiness of the team’s defence in general, with many experts suggesting that Valverde’s team relies too much on the individual brilliance of Lionel Messi and Luis Suarez, but they remain in a strong position for silverware on all fronts. 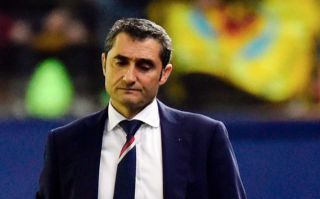 That being said, a defensive crisis now looms large for the Barca head coach and he might, therefore, be glad to see the back of 2018, with the January transfer window just around the corner. Barcelona now might have to consider bringing in some defensive cover during the winter market, as Vermaelen and Umtiti aim to recover as quickly possible to contribute in the second half of the year.